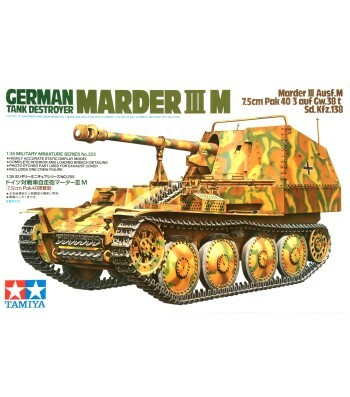 The Marder III M which was armed with a 7.5cm Pak40/3 gun and was used on all battlefronts by tank destroyer units, is now part of our Military Miniature Series. 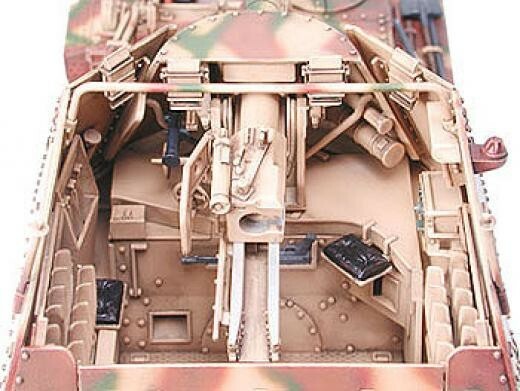 The unique form of the Marder with its combat compartment placed to the rear has been recreated in superb detail along with the main gun, ammunition rack and radio equipment. 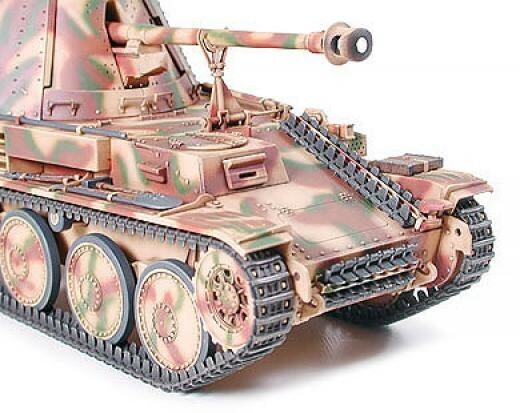 Don"t miss this excellent model and add this historically important Tank Destroyer to your collection! During WWII, the German Army produced and operated the Marder III series, which was equipped with the Czech built obsolete 38(t) tank chassis, to combat the Soviet T-34 tanks. 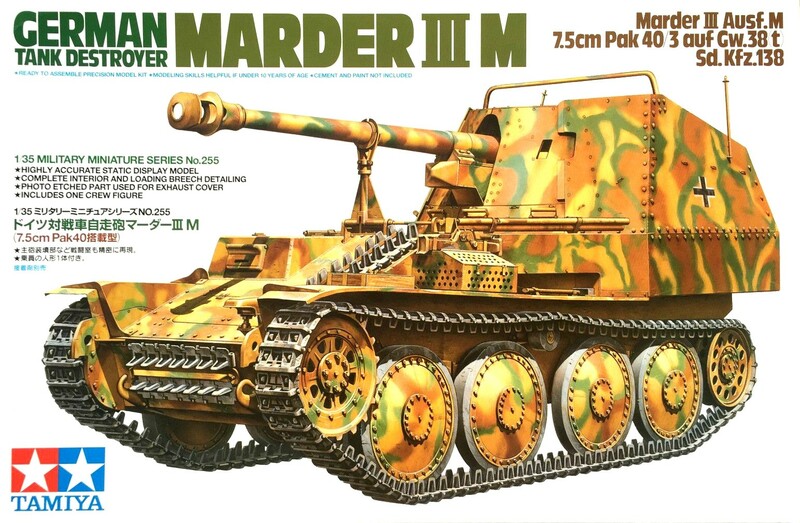 First version of Marder was armed with improved spoiled Soviet 7.62cm Pak36 anti-tank cannon which was replaced with German 7.5cm Pak40 gun on H version, and the last version, the Marder III M was put into production in May 1943. Unlike former types the M's cabin was transferred to the rear by mounting the engine in the middle, and a 7.5cm Pak40/3 was also employed. 942 M's were produced until the thoroughbred tank destroyer Hetzer assumed much of the Marder's role. 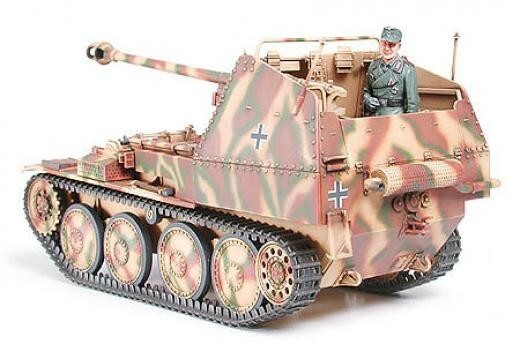 The particular form of the Marder with its combat compartment placed to the rear has been recreated in superb detail. 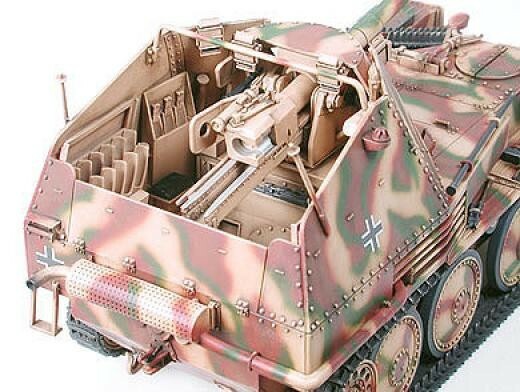 The 7.5cm Pak40/3 main gun, ammunition rack and radio equipment have been accurately reproduced. 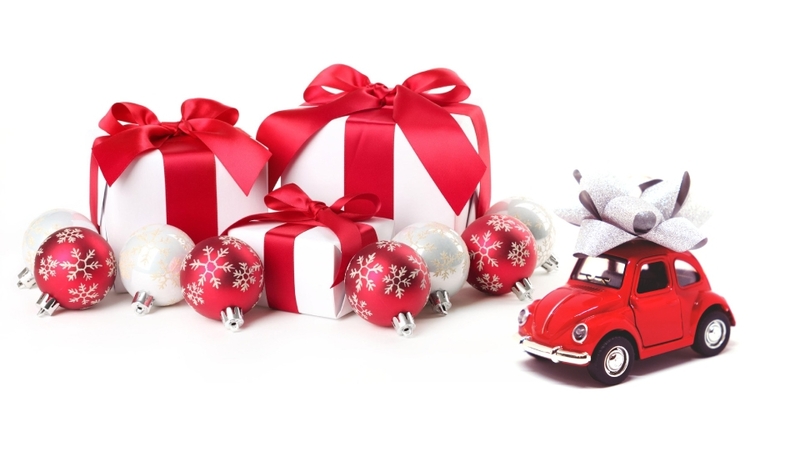 Characteristic sprockets and idlers have been replicated. Muffler cover comes as a photo-etched part. 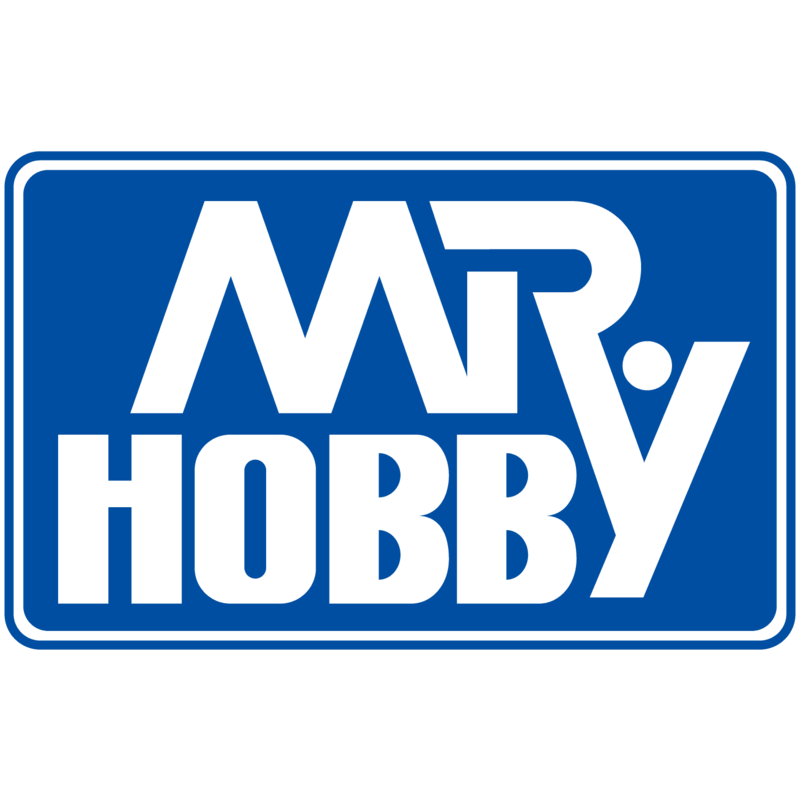 One figure and decals for 5 different markings for armor from various battlefronts are included.